Gosh, what I would give to be lost at the most magical place on earth, as an adult it sounds like a dream come true, if the adult is the one lost. But if it involves a missing child, it’s the scariest place on earth for both parent and child. 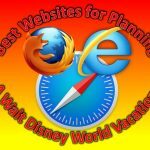 In this article I’m going to give you suggestions on “what to do” if your child gets separated from you at Walt Disney World. It can easily happen; you turn away for a second to pay for your Mickey Bar, look back and your child is gone. What can both the parent and the child do, if something like this happens? Preparation is the key, make a plan. Before heading to Walt Disney World, make sure you talk to your child about “what to do” if they get lost while visiting. For a young child this may involve learning Mom or Dad’s cell phone number, or for an older child picking a designated spot to meet if lost. Go directly to the nearest Cast Member & inform them. If your spouse is with you, have them stay in the location you last saw your child, maybe they will return. Other suggestions for spouse or family members Call out their name while listening for a response. Search bathrooms or maybe a favorite store. Have current pictures of your children. Keep a fully charged cell phone. 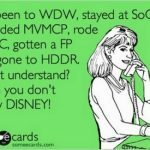 Have pertinent Disney/important phone numbers stored in your cell phone. 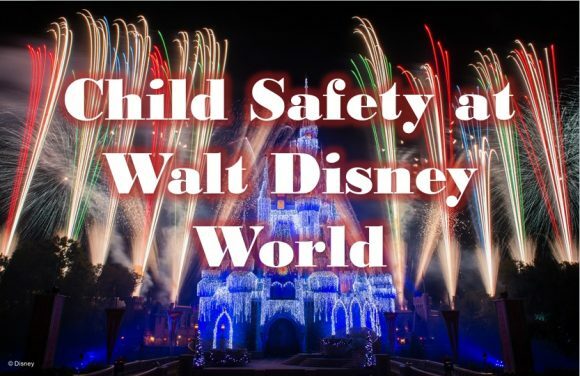 Walt Disney World realizes that children go missing, no matter how many precautions a parent can take; they have a system in place for just this situation. When a Disney Cast Member finds a lost child, the Cast Member contacts Lost Children and registers any information that they have, including name, age, location and a parent/guardian name. The child will be taken to the Lost Children Center. The Lost Children center is a comfy room that is furnished and has a play table and Disney videos to entertain the child until the parents are found. Parents and children are brought back together by description and names, so it is important that your child knows your name, phone number, etc. Disney has an internal communication system and will issue an all-employee bulletin. Matching shirts: For families traveling with small children, consider choosing a single color for each day, making it easier to spot one another in a crowd. Keep track of small children when entering and leaving attractions: Large Disney theme park attractions can let hundreds of people into or out of a theater at one time, making it easy to lose track of your little ones. Carry your child in huge crowds, or hold on tight when exiting busy, show style attractions. 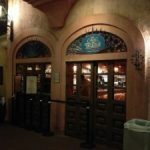 Note the location of exits for bathrooms and rides: Some restrooms and Disney theme park rides have multiple exits, and your kids could come out an entirely different location than you expect. Make a note of what every child in your party is wearing; or take a picture with a digital camera/cell phone each morning. When entering the park, introduce your child to a Cast Member. Tell your child to go to the nearest Cast Member if he or she becomes separated. Cast members can easily be found at every snack place, shop, restaurant, kiosk, attraction line-up, etc. Likewise, parents should immediately inform a Cast Member if a child is missing. If kids are old enough, choose a “go to place” a landmark, or maybe a special favorite spot, where you will meet up if separated. Actually go together to the place! 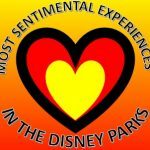 Don’t just say “Cinderella Castle.” Do that at each park. If your child goes to the restroom by him/herself, pay attention to whether that restroom has multiple exits. Don’t get distracted during parades and fireworks; keep small children close by or in strollers during these spectacles. Also be vigilant when your part of crowds entering or exiting one of the live shows in the Disney theme parks. Fantasmic! is especially dangerous, not well-lit & horribly crowded entry & exit. Be aware of your surroundings at all times, don’t let your guard down just because it’s Walt Disney World, don’t be fooled, dangers exist everywhere, even Disney. Use the buddy system, stay with a sibling or friend-don’t separate. Don’t talk to strangers, tell them you’re alone or that you are without an adult. Make sure the GPS locator on cellphone is active. Periodic check in calls with description of where the teenager is currently located and have them send a picture with them in it, time stamped. Safety Tat is a great company that makes temporary tattoos that you put on your kiddo’s skin. I would suggest not adding their name, just phone number of parent in case of emergency. 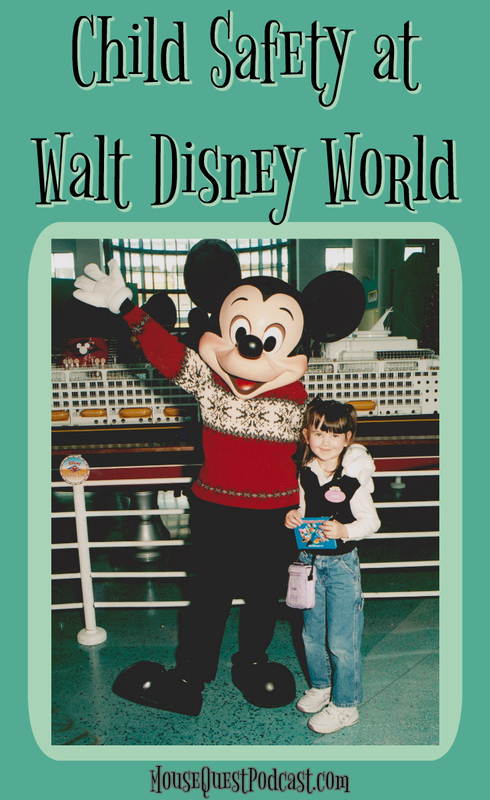 Many people use the Walt Disney World luggage tags on their kid’s belt loops. Make tags at the pet store – the little engraved ones with the parent cell phone number on them, tie them to their shoestrings or on a necklace. Try a sticker with a phone number on the kid’s shirt. Also remember to put the tag or sticker on the outside of the child’s clothing, Cast Members are not allowed to look under or lift up a child’s clothing. Dawn is married to her BFF Ryan and is privileged to be a stay at home Mom/Writer/Blogger to her seventeen-year-old daughter Princess Peyton and future Imagineer son fifteen-year-old Logan. In their eyes a family that Disney’s together, stays together. 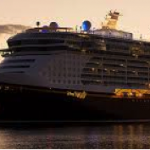 They have enjoyed Walt Disney World many times, including the breathtaking Aulani Resort & Spa on the beautiful island of Oahu. 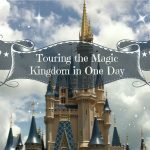 Previously published on http://theadultsideofdisney.com/ and http://www.disneygals.com/ as well as her personal blog http://dawnsdorkydiary.com/.